The cause of the month for April is Compassion International and our sponsored child Moto Catherine Drabo from Burkina Faso. Our sponsorship of Moto costs $506 per year. The money collected in April will go to cover this cost. Any additional money raised will be sent to Compassion International for their Unsponsored Children’s Fund. Compassion International is a child-advocacy ministry pairing compassionate people with children living in extreme poverty to release the children from spiritual, economic, social and physical poverty. More than 65 years ago, Rev. Everett Swanson flew to South Korea to minister to American troops fighting in the Korean War. During his time there, he grew increasingly troubled by the sight of hundreds of war orphans living on the streets, abandoned by society. One morning he saw city workers scoop up what looked like piles of rags and toss them into the back of a truck. He walked up to the truck for a closer look - and was horrified to see that the “piles” were not rags, but the frozen bodies of orphans who had died overnight in the streets. Appalled, Rev. Swanson began including this experience into his revival meetings, and Christians responded by donating funds to purchase rice and fuel for the orphans. Within 10 years, 108 orphanages and homes in South Korea were receiving support. From this grew Compassion International. Today more than 1.9 million children from 25 countries across the globe receive assistance, help and support through individual Compassion sponsors. Several members at Christ Memorial support children through Compassion. The cost is $36 per month plus voluntary birthday and Christmas gifts. If you are interested in being a Compassion sponsor, talk with Kim Mesun or there are Compassion brochures in the church narthex. A special child is waiting for you! We will be adding to our prayer shawl ministry. In 2019, we will be collecting hats and mittens for young adults and children in need. We will be working through the Hats and Mittens organization which collects enough hats and mittens to provide a warmer winter for more than 30,000 children and youth in need each year. The hats and mittens are distributed to schools, youth organizations and homeless shelters throughout Minneapolis/St. Paul and Duluth. A collection box will be set up in the narthex to collect the donated hats and mittens. They can be handmade, store bought, or gently used. There is no set pattern for the hats or mittens. We will collect them through November and then take them to Hats and Mittens to be distributed. Our goal is to collect a combination of 100 hats and mittens by November! The Call Committee has submitted all necessary documents to the ELCA Synod. Upon approval by our bishop, we will actively begin searching for our new pastor. Please note, the members of this group are not part of the Church Council. The pastor and the congregation president do not meet with the committee unless specifically invited. We ask that you keep the Call Committee in your prayers. 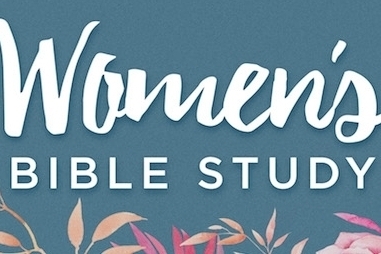 The women’s Bible study group will meet on Monday April 8 at 7:00 p.m. at Ridge Point. We will be concluding our study of Gospel of John: Meetings with Jesus. In the April session we will be “Seeing the Risen Christ, coming to faith.” All women are welcome to join us. If you want more information, talk with Kim Mesun.